NCPD report the details of two arrests for grand larceny and identity theft which occurred in Westbury on Wednesday, 06/25/14 at 1:20 P.M.
Westbury, NY - June 26th, 2014 - Crimes Against Property Squad detectives, along with the Third Precinct and Third Squad detectives, report the details of two arrests for grand larceny and identity theft which occurred in Westbury on Wednesday, 06/25/14 at 1:20 P.M. According to detectives, Vanessa Gonzalez, 30, of 2188 Creston Ave., Bronx, and Stephon Corbett, 31, of 147-36 229th St., Springfield Gardens, entered Best Buy located at 1100 Old County Rd. and made a purchase using fraudulent identification. The defendants purchased a television, computer and cables totaling $3,709.51, by using a female victim’s social security number and identity to open a credit line. The store manager reviewed the purchase and felt that the ID presented might not be valid and called police. Gonzalez and Corbett are each being charged with Grand Larceny 3rd Degree and Identity Theft 1st Degree. Gonzalez is additionally being charged with Possession Forged Instrument 2nd Degree. Both defendants will be arraigned on Thursday, 06/26/14 in First District Court, Hempstead. 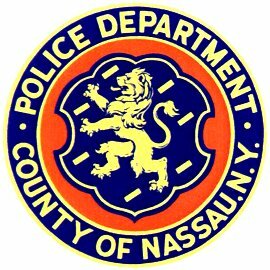 Subject: LongIsland.com - Your Name sent you Article details of "NCPD Arrests Pair of Scammers for Credit Card Fraud at Westbury Best Buy"